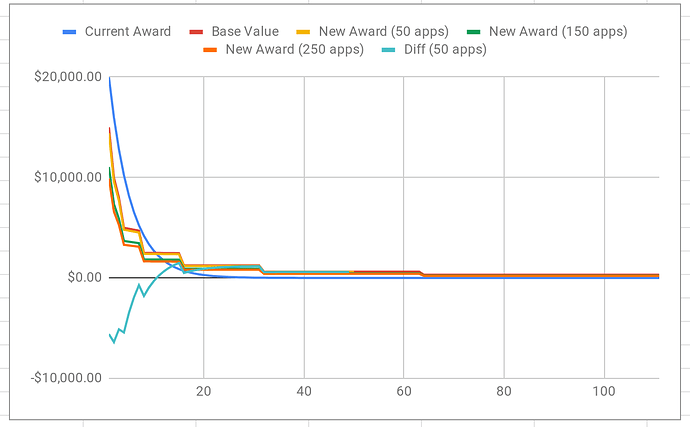 I experimented with a new payout algorithm that relates rank to amount of award in a “slanting step function”. The more apps we have the more apps benefit from the app mining program in comparison to the original curve. 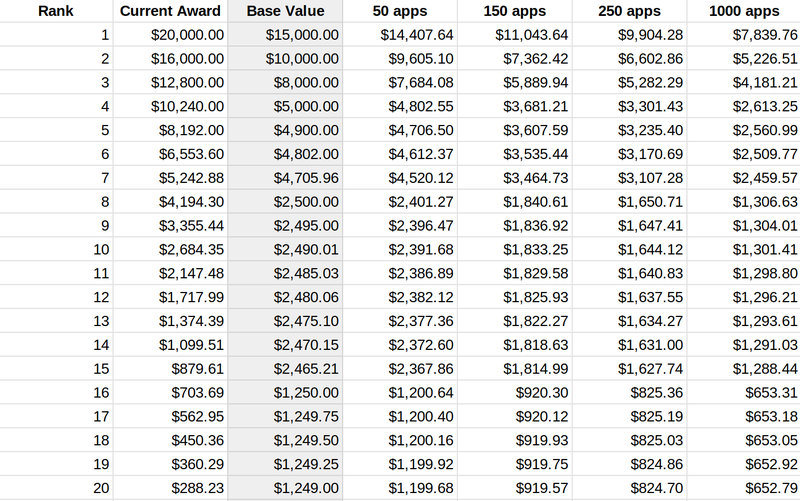 Dear top app publishers, are you prepared to receive less money in the future? 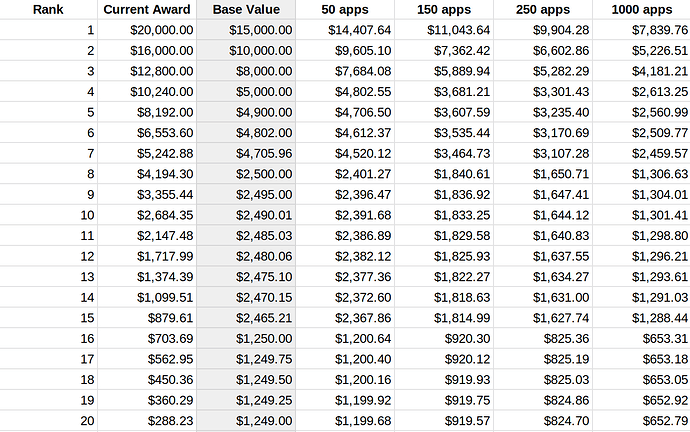 Dear middle and low app publishers, are you prepared to receive more money in the future? Dear all, do you think this is a good model for the ecosystem?